AppleCrate II: A New Apple II-Based Parallel Computer « Adafruit Industries – Makers, hackers, artists, designers and engineers! 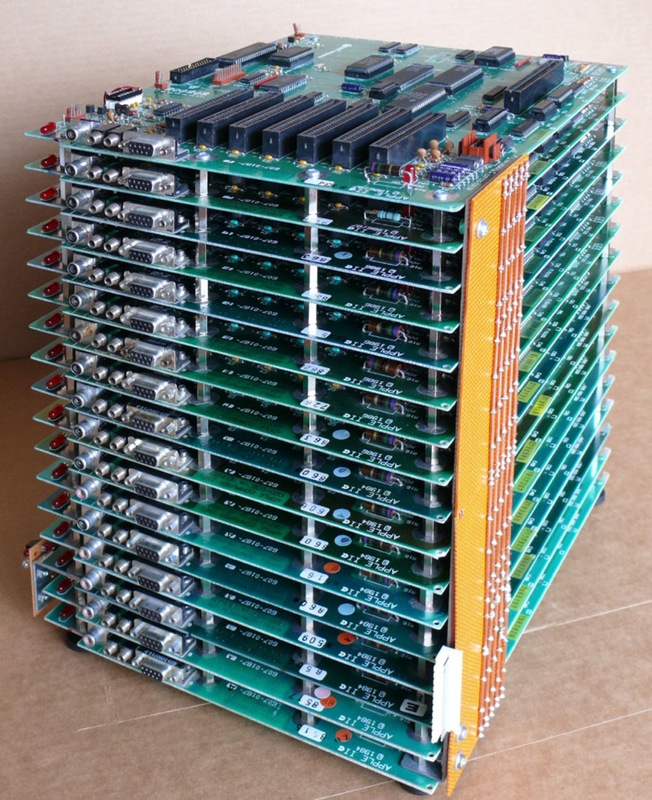 AppleCrate II: A New Apple II-Based Parallel Computer. Instead of mounting the cards vertically in a frame, as in the original, I decided to mount them horizontally in a stack secured with standoffs—3/4″ long hexagonal rods, each with a screw protruding from one end and a tapped hole in the other. The AppleCrate II has nine “columns” of these standoffs—six metal columns at the back and corners of the boards and three nylon columns interior to the boards to add stiffness, as shown in the photo below at the 2-board construction stage.